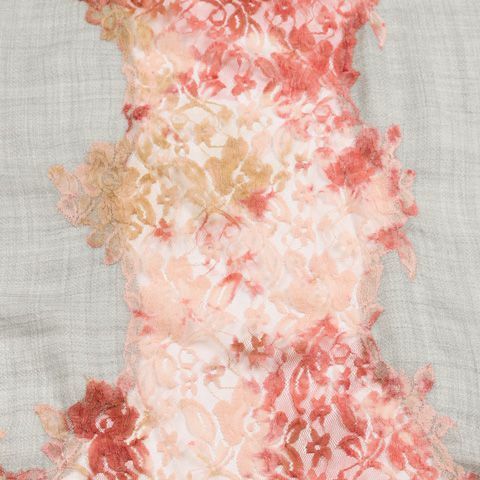 Our new design, this scarf features delicate lace hand-dyed in a 'shibori'-style technique in coral tones, with a pretty soft beige diamond weave silk-wool blend base. 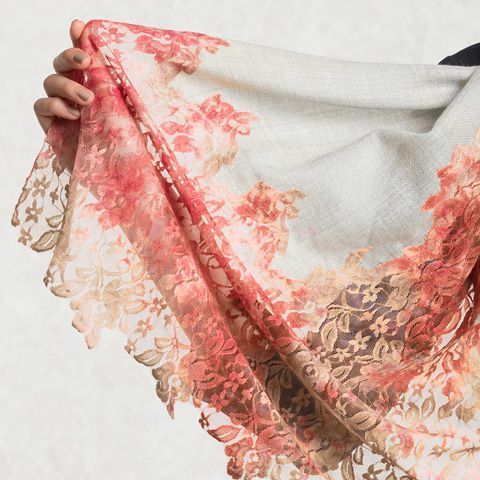 By painstakingly removing the scarf base panel behind the central lace, a light and airy look is created. 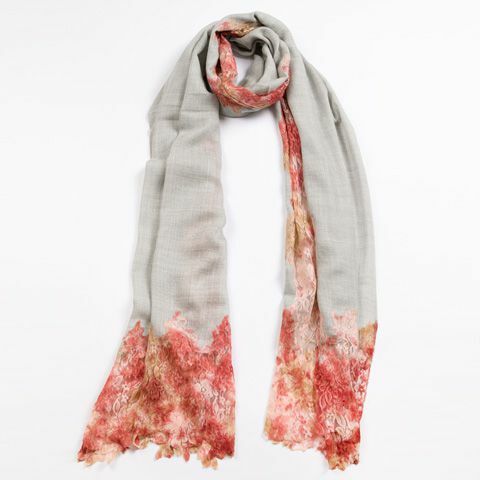 Individually hand-dyed in a 'shibori' tie-dye technique, each scarf is as unique as you.